Tarot Cards are an esteemed oracle steeped in tradition. They first appeared in Europe during the fifteenth century, and have been used by fortune tellers since the 1700's. Each deck of tarot cards consists of four suits of cards, as well as individual cards known as the Major Arcana. Each suit contains ten numbered cards and a King, Queen, Knight, and Page. The four suits comprising the Minor Arcana tarot cards are the Pentacles (also known as Coins), the Wands or Clubs, the Swords, and the Cups. These suits correspond to the suits in an ordinary deck of playing cards- the Cups correspond to Hearts; the Swords correspond to Spades; the Pentacles to Diamonds; and Wands to Clubs. The Major Arcana tarot cards are illustrated with archetypal symbols such as the Sun, the Moon, the World, the High Priest (and Priestess), the Emperor, the Magician, the Hermit, and the Wheel of Fortune. The Fool card stands apart from these other tarot cards, and is sometimes considered the highest trump. There are typically twenty-two cards in the Major Arcana. A few decks of tarot cards are available with more than the usual number of cards in the Major Arcana. These include the Minchiate Tarot, Alexander Crowley Thoth cards, the Babylonian and Enochian decks, as well as a few others. 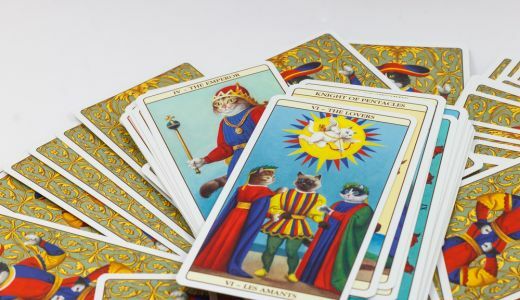 A fortune teller uses tarot cards for divination in readings, and these can also be used by a psychic, clairvoyant, or medium for added insight. These cards can provide helpful information and clear solutions for any given situation or problem. Most any question can be asked of the tarot. Questions can concern matters of love, business, life path, or most any other subject. The question is asked, and then the tarot card reader shuffles the deck and randomly chooses cards which are laid out in a spread. Spreads vary and can consist of a single card, a few cards, or many. Different spreads are recommended for different types of questions. 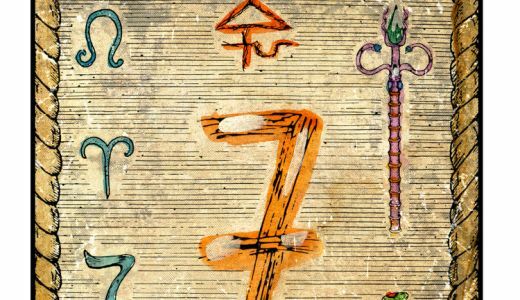 Thus, a one card reading will boil the question or situation down to it's simplest terms and offer a clear insight, while a more complicated spread will offer more information and insight. These cards can reveal information about the past, present, and future. 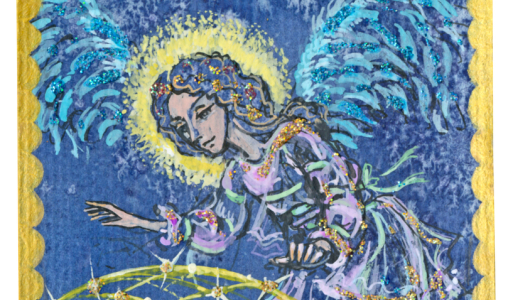 A gifted psychic and fortune teller will be able to intuit many things from the cards. When you have important questions, you need guidance and answers. The Circle is the place to find answers and guidance for all of your important questions. We have experienced tarot readers (as well as gifted psychics, clairvoyants, and mediums) who are willing and able to help you. Stop worrying and wondering; call one of our experienced fortune tellers today to have all your burning questions answered right away!